Choose from a wide selection of Nike Golf Shirts embroidered with your logo. Each Nike Golf Shirt is customized with your logo or personalized with your branded message for your next golf tournament, event, or outing. 4. Your Nike Golf Shirts will be produced and shipped followed by a tracking number sent by email. Custom Logo Embroidered Nike Golf Long Sleeve Dri-FIT Stretch Tech Polo . Long sleeves elevate this polo to another level of sophistication while Dri-FIT moisture management technology adds unparalleled performance. Stretch fabric for hassle-free sw.. Custom Logo Embroidered Nike Golf - Dri-FIT Micro Pique Polo. Stay cool when things heat up. Engineered with Dri-FIT fabric which provides moisture management technology. This comfortable micro pique polo has an exceptionally soft hand. The design fe.. Custom Logo Embroidered Nike Golf - Dri-FIT Mini Texture Polo. Work (or play) your best in this lightweight polo built with Dri-FIT moisture management technology. An intricate chain-link texture gives subtle character while panels on the shoulders a.. Custom Logo Embroidered Nike Golf - Dri-FIT Pebble Texture Polo. An understated pebble texture meets high-performance moisture -wicking from Dri-FIT fabric in this Nike Golf style. Designed to keep you comfortably dry, features include a self-fabric .. Custom Logo Embroidered Nike Golf - Dri-FIT Shoulder Stripe Polo. Achieve superior performance in this new polo crafted with Dri-FIT moisture management technology. Distinct shoulder stripes offer visual impact. Features a self-fabric collar, three-b.. Custom Logo Embroidered Nike Golf - Elite Series Dri-FIT Ottoman Bonded Polo. A beautiful and luxurious addition to any wardrobe. Subtle ottoman texture meets the unrivaled performance of Dri-FIT moisture management technology. Engineered with a bond.. Custom Logo Embroidered Nike Golf Dri-FIT Heather Polo. Stay comfortable before, during and after the round in this sophisticated style. Dri-FIT moisture management technology helps keep you dry and focused. Contrast stitch details on the seams and c.. Custom Logo Embroidered Nike Golf Dri-FIT N98 Polo. Enjoy undeniable style and performance in a true classic: the N98. With contrast striping along the shoulders and sleeves--and Dri-FIT moisture management technology--this modern polo is course-read.. Custom Logo Embroidered Nike Golf Dri-FIT Sport Swoosh Pique Polo. Switch up your solids with this contrast stitch style while staying dry through heated rounds with Dri-FIT moisture management technology. Design details include a flat knit collar, p.. Custom Logo Embroidered Nike Mens Dri-FIT Cross-Over Texture Polo. Switch up your solids with this contrast stitch style while staying dry through heated rounds with Dri-FIT moisture management technology. Design details include a flat knit collar, p.. Custom Logo Imprinted Nike Embroidered Dri-FIT Men s Golf Polo. Built from Dri-FIT fabric, this polo helps keep you cool and dry. The stitch-trimmed gussets make a distinctive statement and allow for easy movement. The design fea.. Custom Logo Ladies Nike Sphere Dry Diamond Embroidered Polo. Achieve the pinnacle of performance in this style that pairs a rich diamond texture with Nike Sphere Dry moisture management technology. The ultramodern fabric has a textured.. Custom Logo Nike Embroidered Dri-Fit Classic Golf Sport Shirt. Nike Golf is known for classic polos engineered to take comfort to the next level. The Dri-FIT fabric technology delivers superior moisture management, while the stitch-trimmed shoulder p.. Custom Logo Nike Men s Dri-FIT Classic Embroidered Tipped Sport Shirt. Nike Golf is known for classic polos engineered to take comfort to the next level. 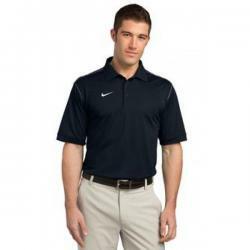 The Dri-FIT fabric technology delivers superior moisture management, while ..
Embroidered Custom Logo Nike Custom Dri-FIT UV Textured Golf Shirt. Subtle texture gives this high-performance polo immediate impact. Crafted from Dri-FIT fabric—which is unrivaled in moisture-management technology—this style features a flat knit col..
Embroidered Custom Logo Personalized Golf Shirts Mens Dri-FIT Pique II. Dri-FIT Pique II shirts combine the softness of pique cotton with the moisture-wicking performance of Dri-FIT technology. The design includes a flat knit collar, three-button pl..
Embroidered Custom Logo Nike Sphere Dry Diamond Men s Golf Shirt. Achieve the pinnacle of performance in this style that pairs a rich diamond texture with Nike Sphere Dry moisture management technology. The ultramodern fabric has a textured ins..
Embroidered Golf Shirts Mens Nike Dri-FIT Long Sleeve Mock - Golf Tournament Gifts..
Embroidered Nike Dri-FIT Pique II Tipped Golf Polo - Golf Tournament Gifts..